That's us! Almost 12 years ago... wow! We look like babies! Ah! This was a photo that we cropped so that it looked like it was a portrait of just the two of us... including this, we have maybe 4 photos of just us. Guys, seriously don't make the mistake we made. This one gets personal for us because guess what we didn't do on our wedding day? Yup, first look... That's the mistake we made. We didn't listen to our photographer nor anyone else and yup... that is our #1 regret from our wedding. Why are we writing this blog? So that you won't have the same regret as us and learn from our mistake. We got married almost 12 years ago and when we think about this, we still say, "ouch". Our photographer had 10 minutes max to take portraits of the two of us.... We only got 4-5 photos of just us. It was heart breaking and it still hurts... but, what can I say? We gave the man only 10 minutes. Photographers are not magicians, we are artists that need time to do what we do. So, what's the big deal? As you know, in the western culture, one of the biggest traditions that we have been celebrating for countless years is the groom seeing the bride for the first time down the aisle. Do you know where this tradition comes from? How and why did this begin? Let's educate ourselves and learn where this tradition come from... Many moons ago in the western culture, arranged marriages were the norm. Parents made the decision of whom their kids will marry and sometimes financial deals were made between the parents. The groom was not allowed to see the bride until the absolute possible moment which was at the altar so that he wouldn't call it off if he didn't like the way the bride looked. Because there was a lot at stake between the parents, they made sure that the marriage happened to make the deal. They basically put the groom in a place where he couldn't back out. 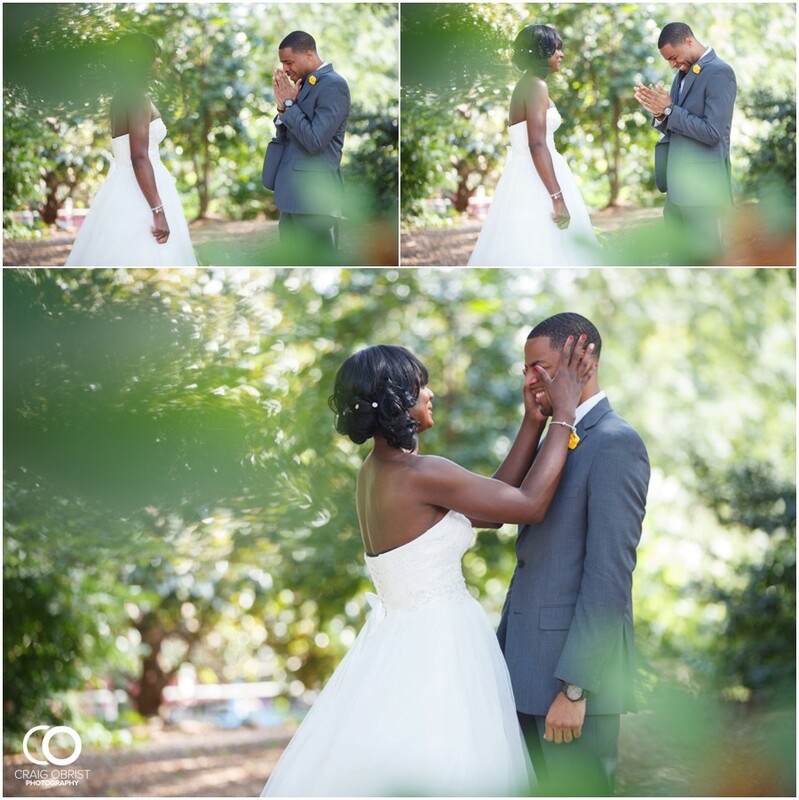 View Taren + Harrison's full wedding blog post here. 1. More time for portraits + Portraits done before ceremony = LESS stress! Can I get an amen? Wedding days these days translates into stress. Brides, it doesn't have to be this way! One way that you can significantly decrease the stress on your wedding day is to do first look. Here, let me explain... If you do a first look, ALL of your portraits will be done BEFORE the ceremony. The only thing left afterwards would be family portraits which are easy peasy. Instead of trying to get your epic wedding photos that you paid for in 10-15 minutes after the ceremony where guests are running around trying to say hi to you, you'll have an average of 2 hours BEFORE the ceremony without any distractions to get all of your wedding portraits with you, your groom and your wedding party. These are the portraits that you will want the MOST after your wedding day more than any other photos. Think about it... how many canvases do you think you'll print of the photos of you getting ready or your stationary or your cake? You're going to be most proud of the photos that you took of you and your groom. What photos are you going to show your kids later in life? Those! View Sarah + Tyler's full wedding blog post here. 2. You get to enjoy your guests more and party! With this type of wedding timeline, all the 'work' will be done beforehand so that you can 'play' later. Because the work has been done, you now get to play! After the ceremony, family portraits immediately follow. This takes 15-20 minutes tops! What guests want to do after your ceremony is to say HI to you and give you hugs and kisses and you want to be able to do the same. But, if you have to do portraits, this can't be done... Your guests will continue to wait, wait and wait for you. Granted, they will most likely be entertained during the cocktail hour, but what's a party without the jolly good fellow? We have literally felt the difference in the atmosphere of a wedding with and without first looks. When a couple chooses to do first look, they look so happy because they get to greet their beloved family and friends that came from near and far which in turn makes the guests happy. At this point, there's nothing left to do but have fun and celebrate your most joyous day! They freely do whatever they want and just watch their hard work of wedding planning unfold and party away. View Lindsey + Bradon's full wedding blog post here. 3. First looks are more intimate and romantic! First, let me begin this section by saying that we have NEVER had a bride regret doing a first look. Never ever... In fact, they say that it was one of the best decisions they made because they experienced how smoothly the day went and because there was no rush in the timeline, there was less stress. One of the biggest concerns of a bride contemplating first looks is that it may not be as emotional as seeing each other at the altar. No worries there because it's actually even more emotional, intimate and very romantic. Why? Because you can freely express how you feel with one other right there and then in privacy and tell each other what you're feeling and thinking. You can't do that walking down the aisle because all of the guests are starring at you and you must go on with the show of the ceremony. In a way, you're obligated to control your emotions whereas in a first look, you can take your time and experience that moment with just the two of you alone and 'let go...'. 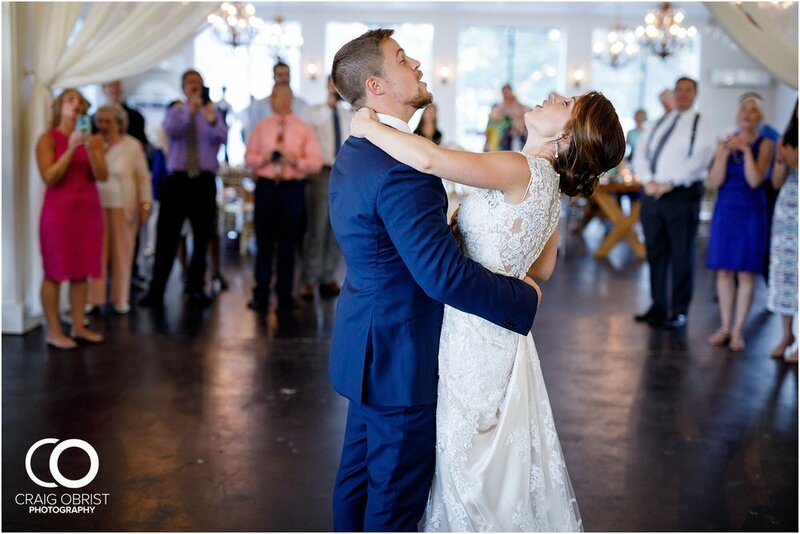 We set our couples up in a very romantic way in the perfect spot where the bride walks up to the groom and surprises him with her drop dead gorgeous self. If you especially are someone who is an introvert or are very nervous when you're in front of people, this is DEFINITELY the way to go for you. And oh! Even for couples who do First Look, they STILL cry and feel emotional during the ceremony when the bride makes her grand entrance. So yeah, don't worry that it won't be special. It will be the MOST special part of your wedding day! It's your choice and we respect it! In the end, it is YOUR wedding day and your choice.... We respect your decisions and it's our job to photograph your day to the best of our ability no matter what conditions we are under and we will do just that. But, we hope that you'll consider these factors and make the BEST out of your wedding day and as we always say, "The only things left after your wedding day are your spouse and your photographs." If you still choose NOT to do first look, we highly recommend doing a post wedding session with us. Make sure to add this session onto your collection and schedule it no later than one month after your wedding date like the way Fraderica + TJ did. You can then wear your dress again and do a 2-3 hour fabulous session with your groom! Thx for stopping by our blog and taking your time to read this today! We love you all and if you have any other topics that you'd like for us to cover, please let us know!